Battlebirds is a classic arcade game where you control the Golden Knight. 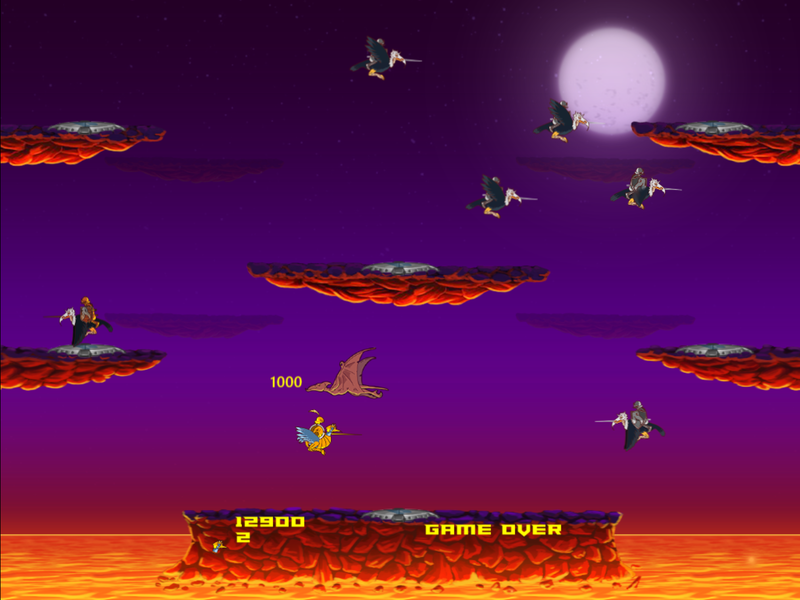 Mounted on your faithful Ostrich and flying through the stone clouds over the lava pools, the goal is to take down waves of enemy Knights mounted on Vultures in a joust tournament - but beware, they will try to knock you down too! In Battlebirds you can play single mode, in a 2 player team or even in the versus mode where, along with the Vulture Knights, you both can knock each other down as well. NOTE: For 2 player mode you have to use a gamepad.